Welcome to Byrne Northland Wines! Kia ora, and thanks for visiting. 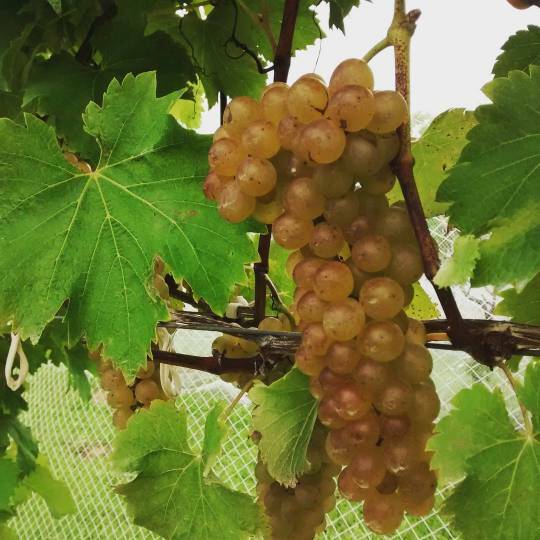 We hand-craft boutique wines, from grapes we grow right here in the Bay of Islands. We only started in 2013, but we're already making a name for authentic local wines with style and generosity. We work hard in the vineyard so the wine can make itself as much as possible, resulting in flavours that are complex and distinctive. We manage two small vineyard blocks on volcanic soil just inland from Kerikeri, growing a range of varieties. With a tiny production, we do everything from pruning to plunging, leaf-plucking to labelling. Find us at the Old Packhouse Market in Kerikeri, every Saturday from 8am-1.30pm, here you can enjoy free tastings of a selection of our wines and the full range is available to purchase. 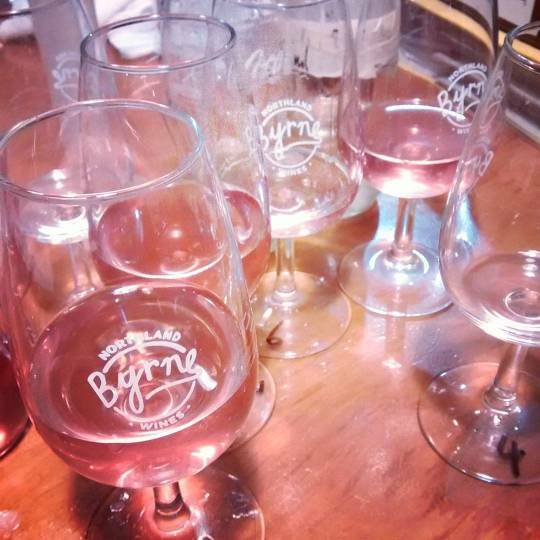 Thanks for visiting, please feel free to offer feedback on the site, or the wine, by emailing byrnewine@gmail.com. A blend of 70% Syrah and Chambourcin. Moderately deep, ruby-tinted rosé with attractive fresh red berry and plum flavours. The wine is off/dry and nicely balanced with a clean, fresh and drying finish. It has good weight and an appealingly smooth texture. Classy, well made rosé. 2013 Byrne Syrah. 4.5 stars. 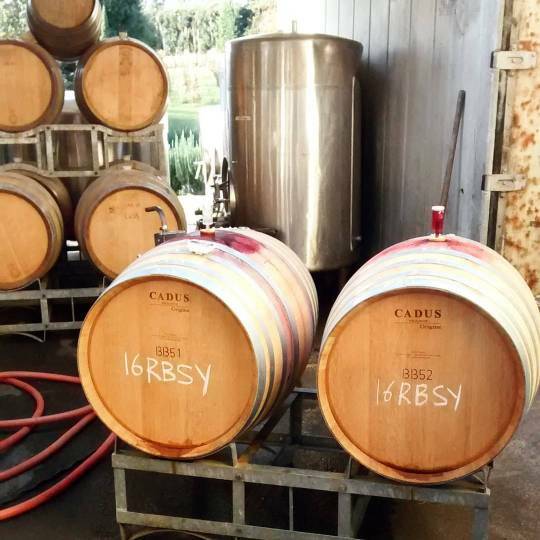 Grown in the Rushbrook Vineyard, at Kerikeri, the highly impressive 2013 vintage (4.5*) was blended with Viognier (3 per cent), matured in French oak barriques (a third new), and bottled unfined and unfiltered. Deeply coloured, it is poised, very youthful and highly concentrated, with rich, ripe blackcurrant, plum and spice flavours, finely balanced and lingering. An elegant, tightly structured wine, it's built to last; open 2016+. 2013 Byrne Syrah - 4.5 stars. It is deeply coloured and beautifully ripe on the nose displaying black/blueberry, dark plum, floral and spice characters. The palate is equally attractive with excellent fruit intensity and silky texture, finishing long and succulent. The wine shows wonderful structure and firmness, and offers potential to develop beautifully. At its best: end of 2015 to 2020. 2013 Byrne Syrah - 4.5 stars. Deeply coloured, very youthful red with highly concentrated blackcurrant, plum and spice flavours, showing excellent ripeness and varietal definition. Elegant, with fine-grained tannins and good cellaring potential.